First Week in the Field! I love Monta-…. just kidding, make that Wyoming! Yep, my first area is in northern Wyoming! I’m in a teeny tiny little town called Meeteetse. My last few days at the MTC were wonderful! I really did love my time there. We got to attend a session at the Provo Temple, which was such a wonderful experience. We taught more “mock-lessons”, and they went super well. My MTC Companion Sis. Singson and I did a special musical number on Monday for the incoming Senior Missionaries. She sang “Where Can I Turn For Peace?” and I accompanied. I had been having so major page-turning problems, but I was so blessed that I didn’t mess it up during the performance. On our last day, Monday, the Elders in our District gave each of us a priesthood blessing. It was such a nice experience! Then, later that night during class, our teacher Bro. Floyd paired us off to role-play with someone besides our companions. Tuesday was just all sorts of crazy, but it was great. We woke up at 3am, so we could be at the buses by 4:30am. When we left our residence, we were surprised that our District’s Elders had woken up to see us off and help us with our luggage! (They weren’t leaving until Wednesday morning). So that was such a sweet surprise! We got on our charter buses and headed to the train station. Then we grabbed our luggage, got on the train, got off the train, got on another train, got off, and then finally got to the airport. 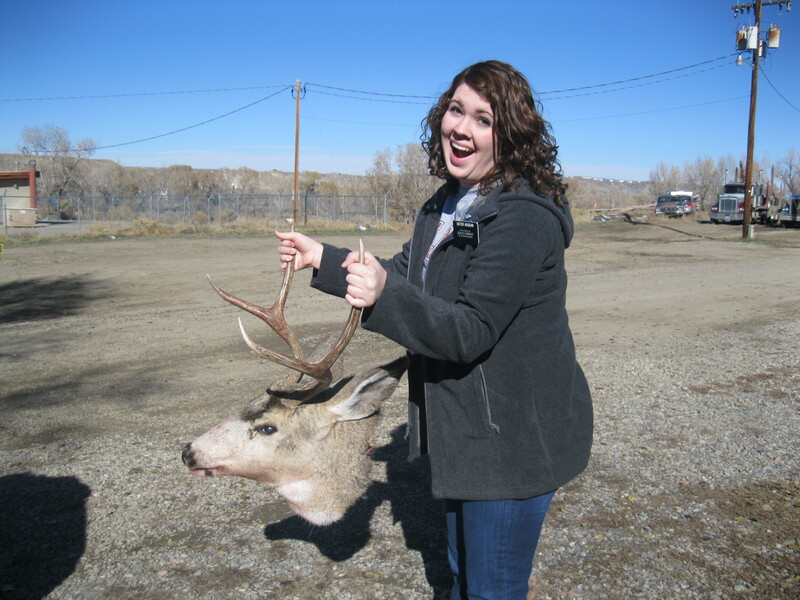 We had 24 missionaries traveling to the Montana Billings mission. Pretty big group! The plane ride to Billings was pretty uneventful- it was a small plane, so all of us missionaries took up a ton of it. President and Sister Mecham met us at baggage claim. They are such wonderful people! I really have come to love them, even in the short amount of time I have known them. 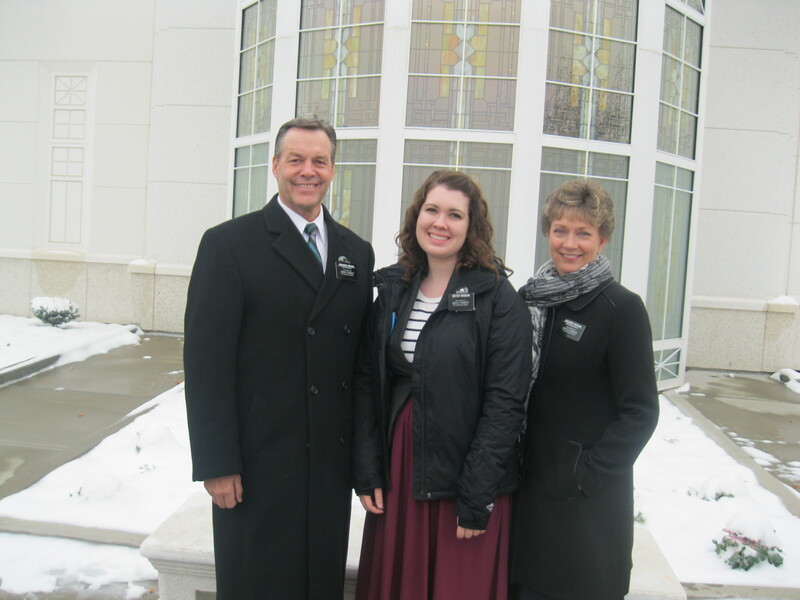 With President and Sister Mecham. We went back to the mission home and dropped off our luggage, and then we immediately got back in the vans because we got to go do a session at the Billings temple. It was the best way to start out the mission! There was a decent amount of snow in Billings, so the temple looked absolutely gorgeous with all the snow around it. It’s actually a pretty big temple too. After the temple, we headed to the Stake Center for training. At training, they gave us the materials we were going to need… oh man, you’re not going to believe this. Guess what we all got? Yep, IPADS. Brand-spanking new mini-iPads out of the package! We went through and configured them to make them mission appropriate. We are so blessed to have them! Of the 400+ missions worldwide, we are one of 30 missions that are test-piloting them right now. Pretty much everything we need is on them! We have an app called “area book”, which has a database of all the members and investigators in our areas. All our progress reports and what-not are filled out on them. Our daily planner is even completely on them! (No little white notebook for me!) The programs still have a few bugs, but overall they are seriously great. I love having access to all the conference talks, Mormon Messages, etc. On Wednesday, we all got our area assignments! They really spread us out to the four winds of the mission! 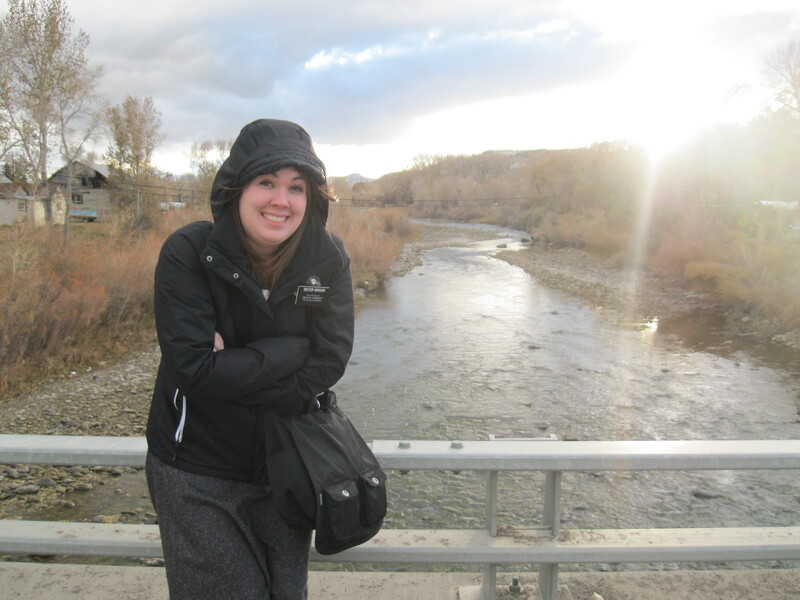 My MTC companion got assigned to Helena, and I got assigned to Meeteetse, Wyoming! It’s in the Northern Wyoming Zone. Those of us headed to Wyoming took vans down to Lovell, Wyoming and there we met up with our companions. My companion is great! She’s only been in the field for 6 weeks and only in Meeteetse for 2 of those. One thing interesting about my companion is that she is actually called to the Brazil Santos mission, and she was reassigned here to wait for her visa. From Lovell, we drove another hour and a half to Meeteetse. Meeteetse, like I said, is a very small town! The sign as you enter Meeteetse says that the population is 327 people (we’re pretty sure that was the max they’ve ever had.) It’s about a 40 minute drive from the nearest other town- Cody, Wyoming. That means we’re 40 minutes away from Wal-Mart! There’s a little “Wea Market” in town, but it’s basically a gas station. There are deer and dog everywhere. I see deer just about every day, and they like to hang out in front of our house. 🙂 It’s so adorable! 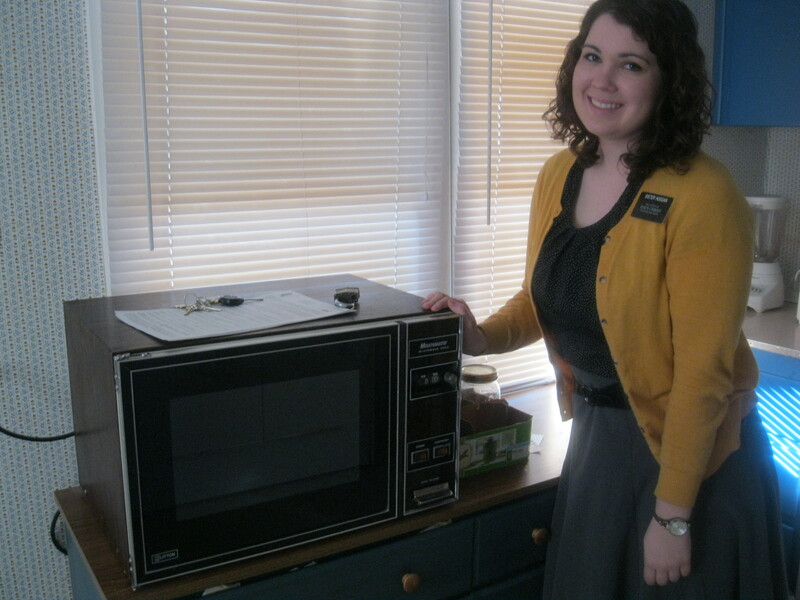 Our microwave is the oldest thing I have ever seen in my life. It has a dial that we have to turn to set the time, haha. But at least it works well! We have a big heater in the living room that heats the house. Since our place is so small, it actually keeps it pretty warm and cozy in there! Oh, and I forgot, we have a car! We use it to drive to Cody for P-day and district meetings. The town is so small that we just walk everywhere during the day. It’s definitely been cold the past few days. It warms up during the day, but the minute the sun goes down- we freeze! So, since Meeteetse is so small, we could tract the entire town in probably two days. So what do we do all day you might ask? Well, we teach lessons of course, but we also do a lot of service! We volunteer at the school, the library, and help out anyone we can during the week with whatever they need. Most of the people here in Meeteetse are quite elderly, so we help them out a lot. I have met with one person since I got here that was under the age of 70. One man that we meet with is 97! The people here are wonderful. They are so kind to us missionaries. I have never seen more guns, deer antlers, and horse shoes in my life. I had a pretty neat experience this week while serving! So everyone here likes to go hunting, right? Well, one of the men that we’ve been meeting with had gone hunting and had gotten a deer. He jokingly suggested that we should come help him cut it up and package it. Well, we’re always looking for ways to serve, so we jumped at the idea and agreed! We ended up not doing much of the cutting, but we did watch… kinda gross, but not as bad as I thought it’d be! We mostly helped with the packaging for the freezer. Yeah, it’s what it looks like! I’ll just conclude by saying that the Lord truly does answer prayers. He is mindful of us each and every day, and I feel that more than ever. I have been trying really hard to follow the promptings of the Spirit lately, and I have been truly blessed for it. 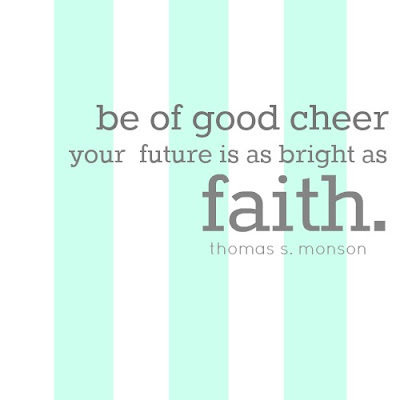 They’re not lying when they call it missionary WORK, but it really is worth it.